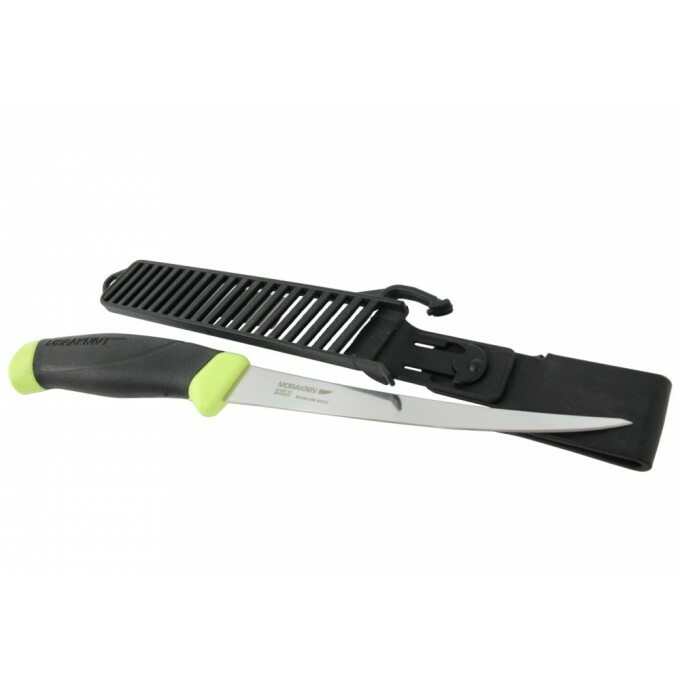 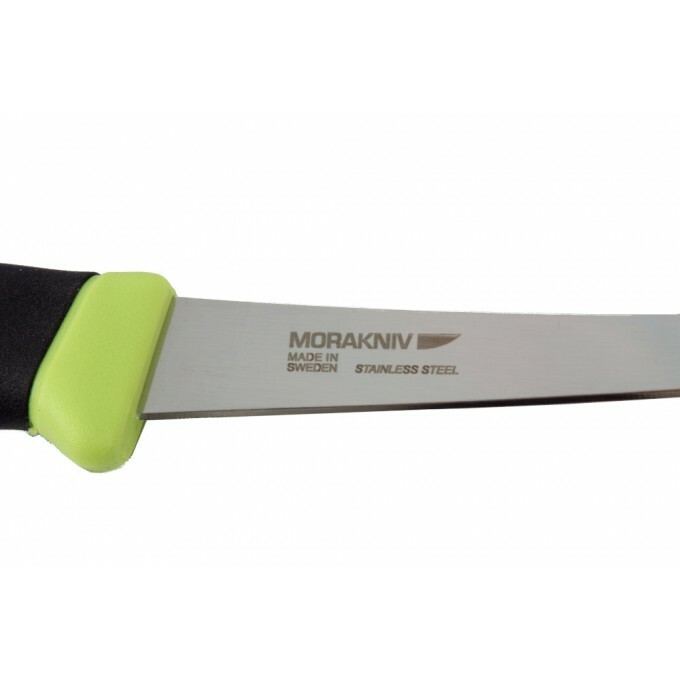 Swedish Mora fishing fillet knife, 6" very sharp semi-flexible sandvik 12C27 stainless steel blade. 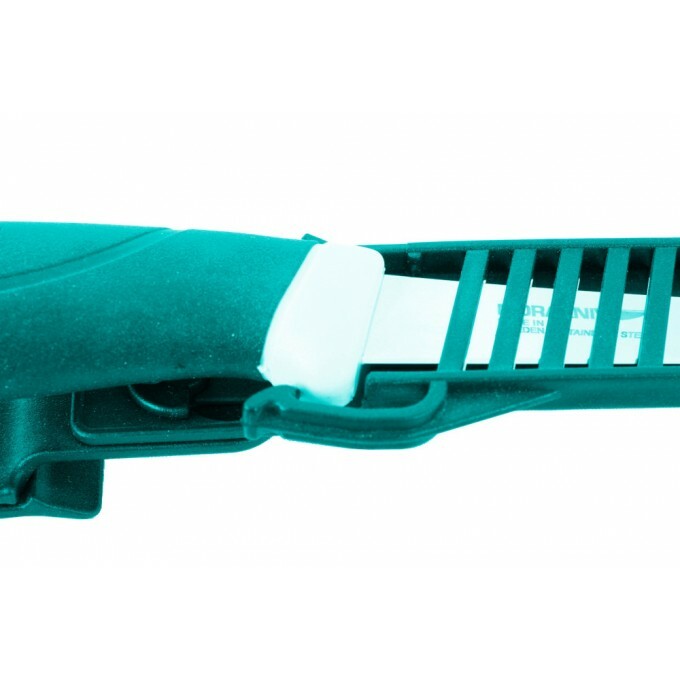 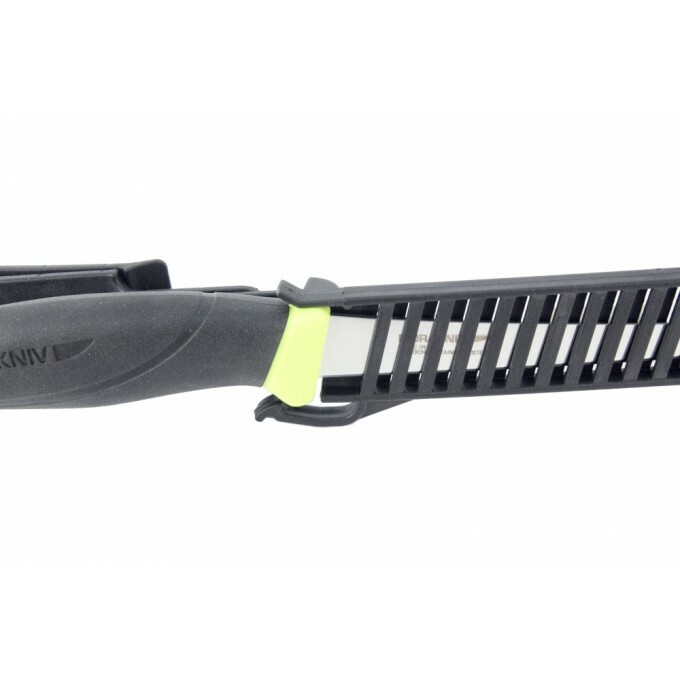 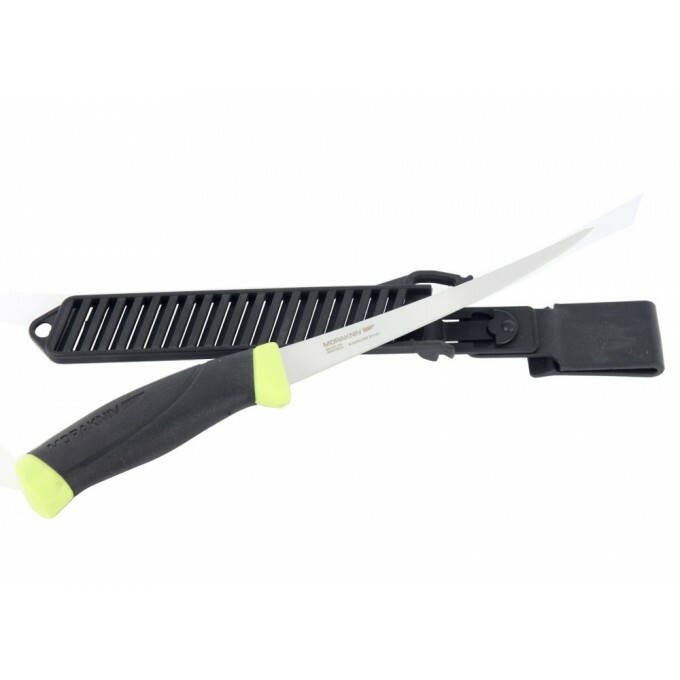 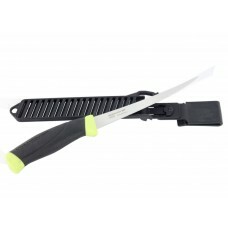 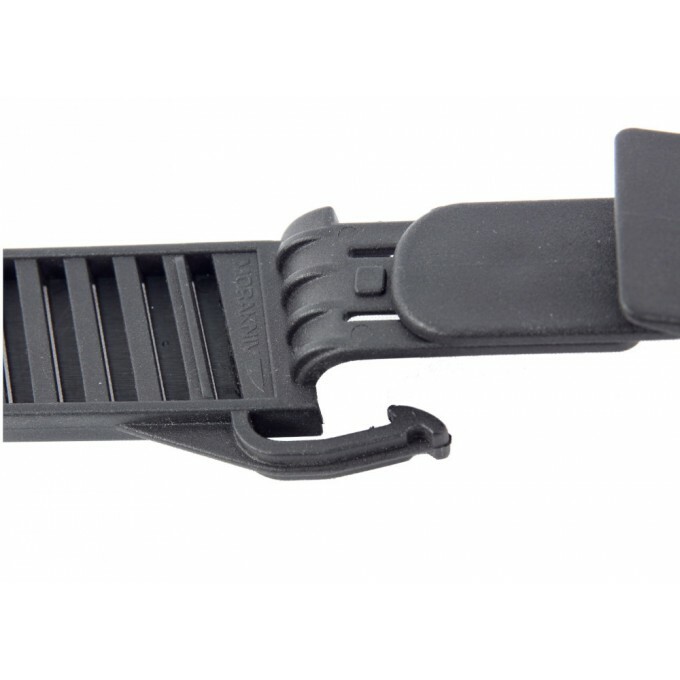 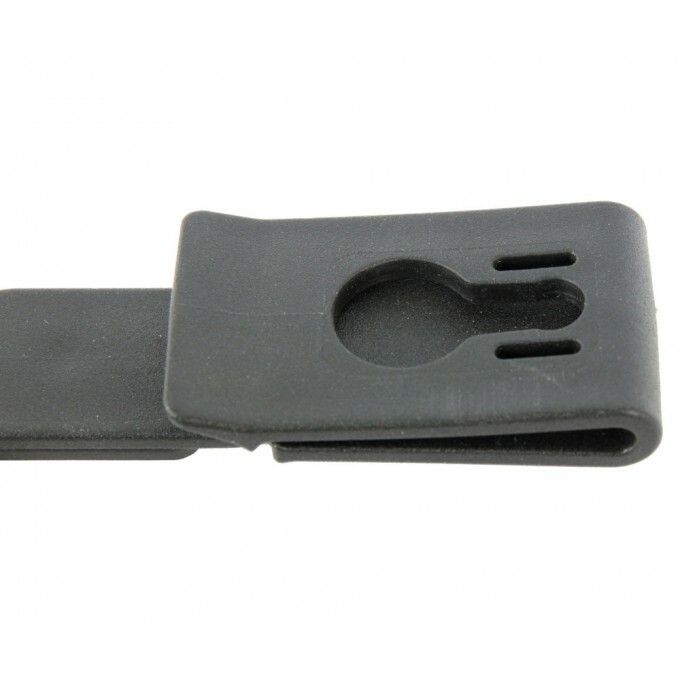 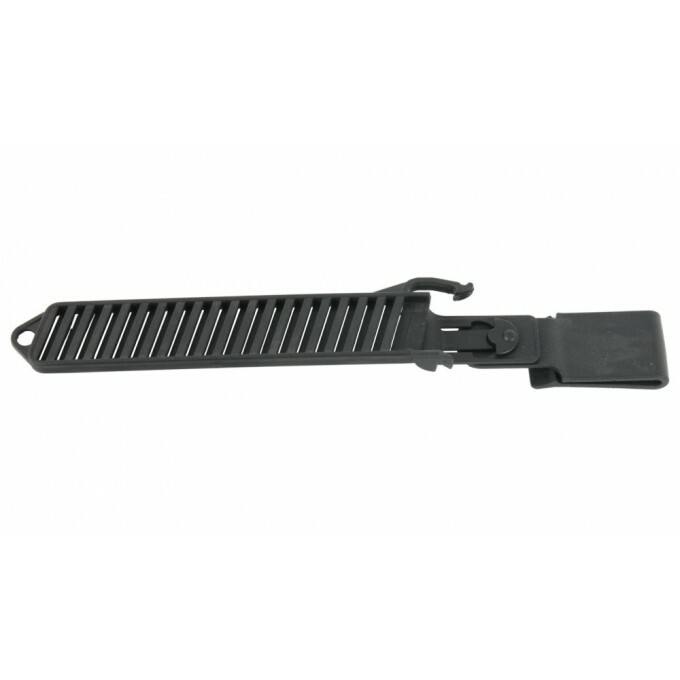 A patterned injection molded TPE rubber handle with polymer finger guard guarantees an easy and safe grip. 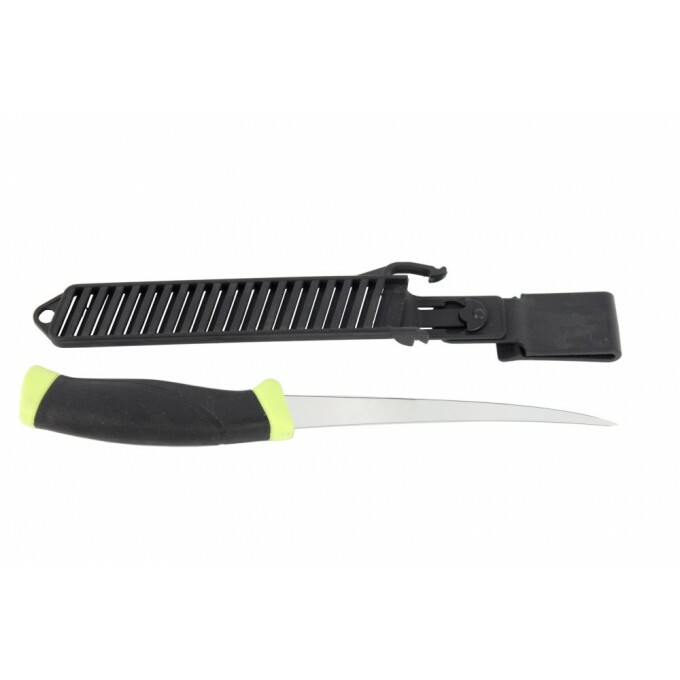 Provided with a belt loop and a plastic hook to hold the knife locked into the sheath.